Talk about time change withdrawal. Yesterday’s brain teaser date had us a week ahead of schedule. Oops! Maybe no one noticed but just for the record, it was an early spring edition. Here are the answers from the 3 22 10 Monday morning brain teasers on Tuesday, March 16th 2010. By the way, are people still game for these brain teaser quizzes or should we change it up a bit? Feel free to comment. 1) Tulips, one of our favorite flowers of spring, originated in the Netherlands. (False) These beautiful flowering bulbs were first commercially cultivated in Turkey although they appear to have originated in central Asia, Siberia, Mongolia and China. There is a history to how the Netherlands became the top producer of these favored flowers and still stake claim as the world’s main bulb source. Just a tip on tulips – the majority of these bulbs must be bedded out (planted annually) every year for the best effect. 2) If the tip of the Forsythia cane makes contact with the soil, the cane will generate roots. (True) One of our earliest spring blooming shrubs, Forsythia is an easy propagator and very cold-hardy; some varieties can handle the chilly temps of Zone 3. These two characteristics make the Forsythia a perfect shrub to mass together for early spring splash. If left to its own accord, it naturally tip-layers itself, widening its yellow footprint each year. Give it ample room along the border of your property; hence its name - Border Forsythia. There are compact varieties for those who are tight on space but some of these are less hardy. 3) Two major minerals in maple syrup are potassium and calcium. (True) Although you may think maple syrup’s sweet taste would not be good for you, the real McCoy gives you some extra benefits. So if you can splurge for pure maple syrup rather than the sugary, corn syrup brands that cost much less, you’ll enjoy more of your daily supplements with your pancakes or waffles. 4) Winter Hazel (Corylopsis), not to be confused with Witchhazel, is an early blooming deciduous shrub related to the Witchhazel. (True) Both of these plants are a member of the Hamamelidaceae family. The fragrant yellow bloom of Winter Hazel occurs the same time as Azalea m.‘Cornell Pink’, making them great garden companions that also provide beautiful fall color. 5) Asian-type Magnolias bloom before its leaves form on the tree. (True.) Forsythia bushes also are known to have this same trait. 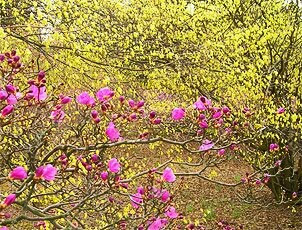 If you do not have a Magnolia on your property, find an unusual variety and add it as a specimen to your garden. You can find some great naturalizing bulbs: Scilla varieties, Grape Hyacinths, Chionodoxa and/or miniature Daffodils to grow underneath the Magnolia. Hopefully these plant facts will get you ready for spring. The inspirational thought for the day is a Chinese Proverb ~ “Spring is sooner recognized by plants than by men. “ Enjoy the last minutes of winter and embrace the beauty of spring. If you open your eyes, the awakening of this season is truly a rare sight. Don’t forget to join our fan page where you can get additional tips, photos, links and a place to join a discussion. 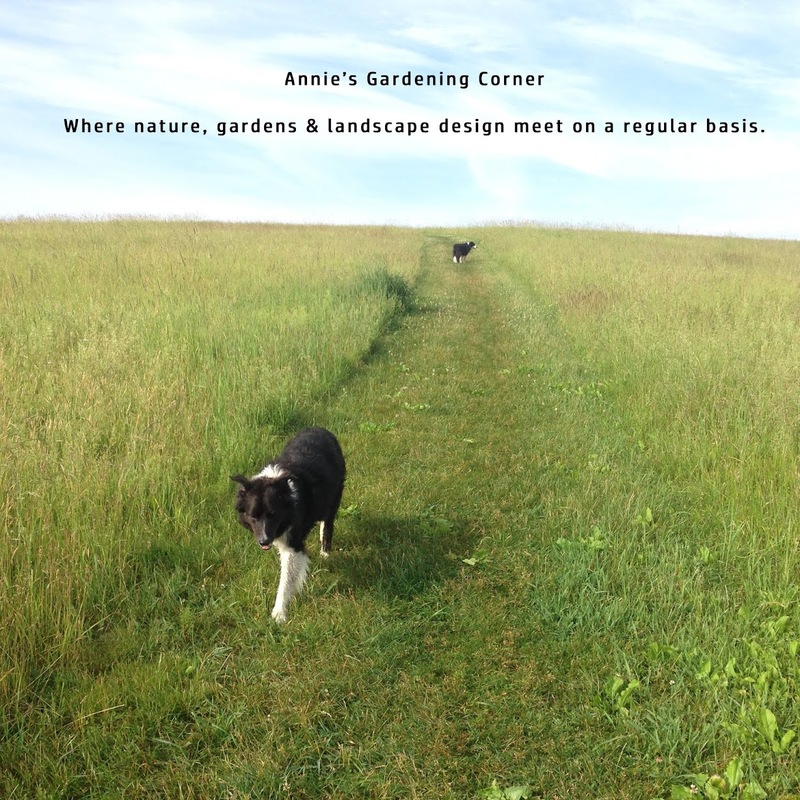 http://www.facebook.com/pages/Bilowz-Associates-Inc-Our-Blog-Annies-Gardening-Corner/325316334444 Have a great Tuesday.